Who are 4 Corners Cannabis? 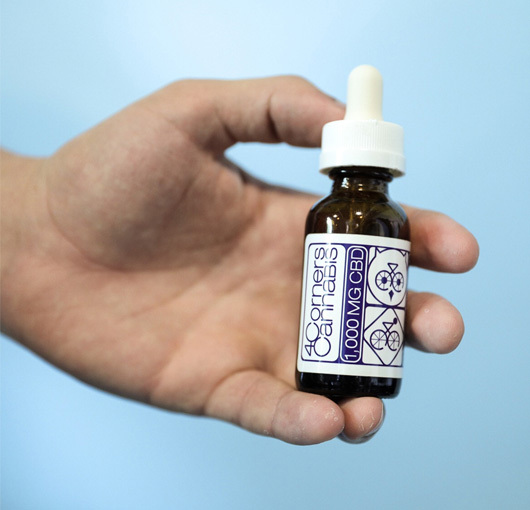 4 Corners are a CBD growing, producing and distributing company. Yes, they really do supply the full Monty in hemp form, and that’s what makes them so popular with their loyal fan base. Based on a farm in Colorado, they produce high-quality hemp flowers to make not only full spectrum but complete spectrum oil, a phrase they have coined. But what’s the difference? Typically, full spectrum is considered essential in order to produce the best CBD oils around. It works by extracting the oil at very low temperatures, and is then triple filtered to ensure no plant residue can be found. This method ensures that all the important terpenes and flavors in the oil remain as diverse as the plant itself. And this diversity is thought to create the most effective oil when consumed. Complete spectrum oil works in the same way but the process has been improved by investing in high tech lab equipment, run by well-trained chemists. Its simply smoothing out the edges and ensuring none of the quality is lost from the plant. 4 Corners have invested not just money but heart and soul into the process, and it seems to be paying off for them and their customers. Let’s have a look at some of the top ways 4 corners have thrived in the CBD market. Complete spectrum oil: As mentioned earlier, they use not just CO2 extraction, but invest in the best equipment around to produce their oils. This helps reduce undesirable solvents from the process and also ensures that the variety of terpenes is kept at a maximum. $5 shipping: The company gives a $5 flat rate shipping charge on all orders… That’s right, go crazy and order as much as you want. And it doesn’t matter how far away you are from Colorado, they ship to every state in the US. Efficient process: Every customer order is processed with 24 hours, meaning you don’t have to wait impatiently wondering why they are taking their sweet time. And typically, if you are ordering CBD you will want it or need pretty quickly, so it’s nice to have a company aware of that. They grow their own hemp: The company own their own farm, which means they have full control over the product they are making. So, if they have a problem it’s easy for them to fix it, and similarly, they can continue to evolve their CBD products in exactly the direction the customers want. We love this. They are translucent: Whether you follow them on Instagram or Facebook, it’s impossible not to find the company endearing when they post photos of work on the farm or their dog trying to find shade. They seem completely genuine and passionate. Lab Results: Any CBD buyer knows that genuine lab results are crucial for customers to put their trust into a product. The only irk is that some of the lab results aren’t particularly clear and no information is given about who has conducted the studies. Giveaways: A fun way that 4 Corners interact with their customers is by occasionally throwing giveaways. It’s a great way to get involved with the community and if you are on a budget or aren’t sure whether you want to buy from them yet, you can sample some of their products for free! One of the biggest setbacks that this company faces is their website. It’s clearly laid out, but many of the links appear non-existent or broken, such as the ‘quick view’ button on the product overview. A few times I tried to add products to my cart with little avail, and found I had to trace back to the beginning to even access it. It’s a shame because the products seem to be crafted to a high standard, but it becomes difficult to access them. Hopefully they spend some time fine-tuning it. I would love to see them selling out of the U.S as well and branch out into the global market, as judging from their comment section they clearly have a demand for it. Oral Tincture: The company sells a variety of 3 oil tinctures, all ranging in different sizes. Their oil is made from really simple flavors and ingredients, making it as natural as possible. Expect layers of orange and coconut on top of the classic earthy richness. For the 250mg bottle, they suggest taking 2 drops per every 10lbs of body weight, once a day. For both the 500mg and the 1000mg consumers should take 1 drop per every 10lbs of body weight, once a day. And don’t forgot to hold the oil under your tongue for at least 30-60 seconds to get the full terpene effect. Avocado Oil Tincture: For those with a dislike for coconut-based oils, there is an avocado oil. It tends to be slightly thicker with a nutty taste, and can also be slightly more expensive because of the price of avocados themselves. It gives consumers a healthy dose of vitamins A, D, & E and we are likely to see more avocado based oils in the future. Salve: 4 Corners also sell a body salve – perfect for achy and painful muscles. Its simple ingredients consist of; coconut oil, beeswax, antioxidants, CBD dominant hemp extract and a range of terpenes. 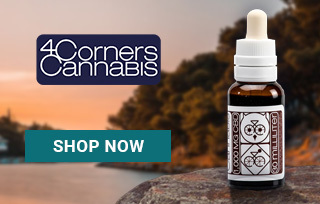 Vape Liquid: If you are a keen vaper, you’ll be happy to know that you can get 4 Corners CBD oil in vape liquid, and they even claim it’s the “World’s first quality CBD dominant Vape Liquid”. Again, you are given the option of 3 different quantities 250mg, 500mg and 1000mg. With the 1000mg bottle, expect to fill a 1.5ml vape cartridge 20 times. Self-Care Package: They also advertise a self-care package, which is presumably a variety of different products for a cheaper price. However, what these products are is uncertain because the page is no longer available. Pedigree Oil: Need some CBD for your favorite pooch? As animal lovers themselves, 4 Corners have made an oil suitable for a variety of pets, including dogs, cats, horses, cattle and more. Although, they do advise to give your pet these drops at least 1.5 hours before any pharmaceuticals that metabolize in the liver, to insure there is no interaction. Pet and Me Package: Again, presumably a combination of the pedigree oil and other CBD products that they supply, but the page is unavailable. It’s possible they have either run out of stock on the packages or revamping them for resale. Well what we can we say about 4 Corners? It’s impossible not to feel infatuated with their lifestyle in the green, rolling hills of Colorado. And I’m not sure if customers come back for the CBD products or photos of the family dog! A silly thing to insinuate considering how top-quality their CBD products are, but I do hope they invest some time into the website. If they are popular now, I can’t imagine how much business they would get with it up and running and they are already selling the fan t-shirts! Remember, it’s important to consult your doctor before beginning your CBD adventure. As a food supplement, these CBD products are not designed to treat any medical conditions. I like the fact that 4 corners have their own farm to grow hemp, giving them complete control over the product they are making. Finally a pet tincture where I actually notice the effects on my pup, it makes car rides that much easier. I normally use the 500mg tincture as part of my morning ritual, it always makes me feel more active and upbeat. 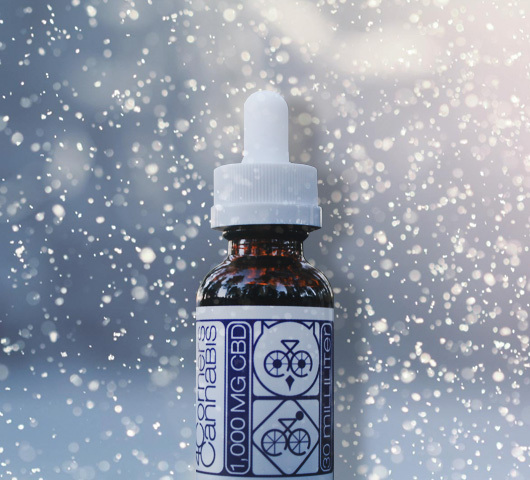 The CBD Oral Tincture from 4 Corners is perfect to add in the morning cup of coffee or tea, it refreshes and engergizes me for the day ahead. A great salve for all those camping trips I go on…nobody wants sore muscles on the second day in! Kailey from Ashburn just bough! Regina from Ashburn just bough! Enzo from Ashburn just bough!